A nonprofit in Indianapolis, People for Urban Progress (PUP), is refurbishing donated leather seat covers from 100 Amtrak trains into various fashion items such as shaving kits, tote bags, and backpacks. The nonprofit estimates that it will make over 2,500 items, which builds on its track record of upcycling materials, including salvaged dome fabric and other materials from the Indianapolis Colts’ old stadium, into purses, wallets, and shade canopies at parks and urban gardens. Many of the items PUP crafts are sold to the community, and the proceeds support production costs and community projects. 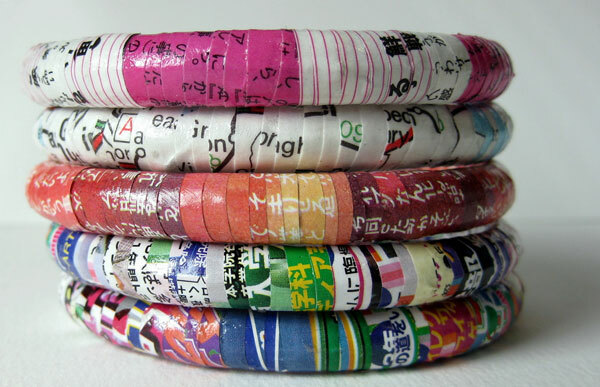 Although this upcycling strategy may seem like an innovative revenue model and marketing tactic, it is actually a point of entry into a larger emerging economic framework called the circular economy. According to the Ellen MacArthur Foundation, the circular economy aims to design waste out of the system and gradually decouple economic activity from the consumption of finite resources. Underpinned by a transition to renewable energy sources, the circular model builds economic, natural, and social capital. It is based on three principles: design out waste and pollution, keep products and materials in use, and regenerate natural systems. Diminished natural resources are a consequence of decades of extractive business practices. Last year, for example, by the beginning of August, humans consumed more natural resources and created more waste than the Earth could replace or safely absorb annually. Put another way, the demand for resources was roughly 1.7 times what the Earth can support in a year. The need for more efficient use of resources, in short, is not in doubt. As a result, many cities are pursuing the circular economy, both as an economic development engine and as a cost-saving strategy. London, for example, seeks to become the world’s circular economy capital and is implementing a strategy through the London Waste and Recycling Board. Other cities like Paris, Toronto, and Brussels are executing bold plans. In the United States, San Francisco and New York have set ambitious zero-waste goals in the coming years. Austin is supporting an online materials marketplace, and Phoenix is working to develop public-private partnerships aims at reducing waste through its Reimagine Phoenix initiative. Nonprofits too have a role to play. At the beginning of this decade, in a Democracy Collaborative report, Debby Warren and Steve Dubb (who now both write for NPQ) wrote that the need to shift to a “green economy” opened up an opportunity to “organize those jobs so that they significantly broaden ownership over wealth and capital.” It is still a good idea. This nonprofit brings in $21 million annually from recycling books, glass, and bedding. And in the process, they provide jobs for 385 people.